When NASA peers into the sky with any of its various telescopes, there’s always the chance that scientists will spot something they’ve never seen before. Sometimes they see newborn stars, and other times they see huge shadows, but this newly-captured image from Hubble shows something you’d probably never expect to see in the depths of space: a face smiling back. 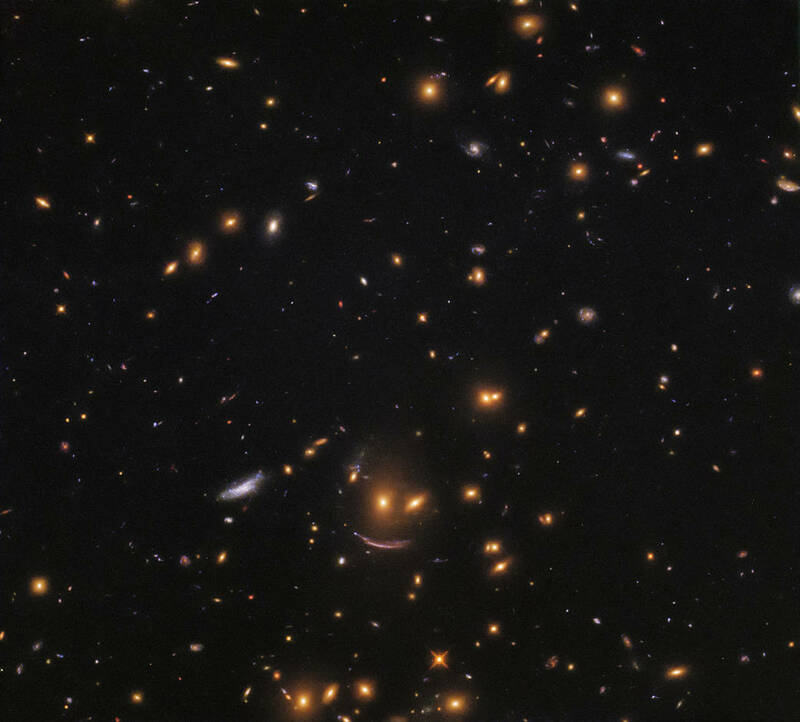 The image, which NASA says was snapped with one of the Hubble telescope’s wide field cameras, shows a whole bunch of distant galaxies in all shapes and sizes — but one particular part of the image is bound to catch your eye. There, near the bottom, is a big, bright, smiling face. That gravitational lens is actually bending the light of a galaxy that lies behind the two “eyes.” If seen in its true form, it would appear much different, but because the light is being warped as it passes the structures between Earth and itself, it takes on a crescent formation. Aside from the smiling mug there’s a lot to take in from this image. What you’re looking at is dozens of distant galaxies with countless stars being born and dying. How many of those stars have planets in orbit, and how many of those planets are like Earth? Perhaps none, or maybe several. You have to wonder if the star face really is the only thing looking back in our direction.